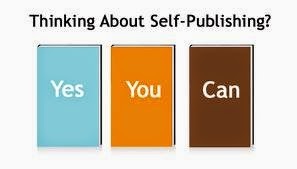 How many of you are self-publishing your work? If you're getting it printed yourself, how are you doing it? Using a local printing company? Using Lightning Source? Going Print On Demand? Despite the emergence of e-books, a lot of writers still want their book in print. Now that's doable since we're into a new era of publishing. More and more authors are "doing it themselves". This is especially true when it comes to e-books. But it's also true for those who want to publish a print book. Putting your book into print is not all that difficult to do anymore. Admittedly, it takes time and the formatting can be a bit arduous. You can make it easier, though. We're now in a new era of publishing. Some of us are adapting and participating. Some are kicking and screaming. Either way, we're now in a new world of publishing. The good news is that the formatting is pretty basic. Whether you publish through Smashwords or Lightning Source or wherever, try to make it easy. Here's the first step I would recommend. You have an idea for a book. You've plotted it out. Now you're ready to write. You open a Word document and start typing. You could do that, but remember, the goal is to make it easy when the time to print comes. Look at the books on your shelf. Measure the width and height of the books that you like to read. Whatever height and width that you decide on, set those in your Page Layout. For me, that means setting the margins so the book is 8.5 X 5.5. A print book has three sections. The front matter, the book matter, the back matter. The front and back matters have no page numbers. The first page of the book matter has no page number. The rest of the book matter has page numbers in the Footer. The book matter section usually will have headers. On the odd numbered pages, it's usually the book title, centered or at the right edge of the page. On the even numbered pages, it's the author's name on the left edge of the page (or center both odd and even headers). Don't hit the Tab button on your keyboard. Set it up so that it automatically indents for you. Sometimes the company that will print your book will tell you not to worry about buying an ISBN. They buy those and will put one on for you. My opinion is … buy your own ISBNs. They're not all that expensive and whoever owns the ISBN owns the book. 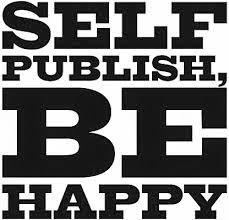 Do you want to be the owner or do you want the publishing company to be the owner? 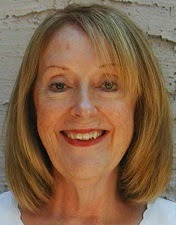 Helen Ginger is an author and blogger. She teaches public speaking as well as writing and marketing workshops. You can follow Helen on Twitter or connect with her on Facebook and LinkedIn. Helen is the author of 3 books in TSTC Publishing’s TechCareers series, the novel Angel Sometimes, and two of her short stories can be found in the anthology, The Corner Cafe. 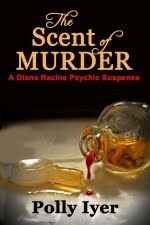 Her most current book, Dismembering the Past, debuted in June 2014. Good advice, Helen, as far as it goes, but there is much more to design of the book interior. For example, front matter does have page numbers, but only in a drop folio (bottom of page) as lower case roman numerals, except for what typesetters call display pages (like the title and half-title pages). My point is that there are many subtleties in layout, organization, design, and typography. 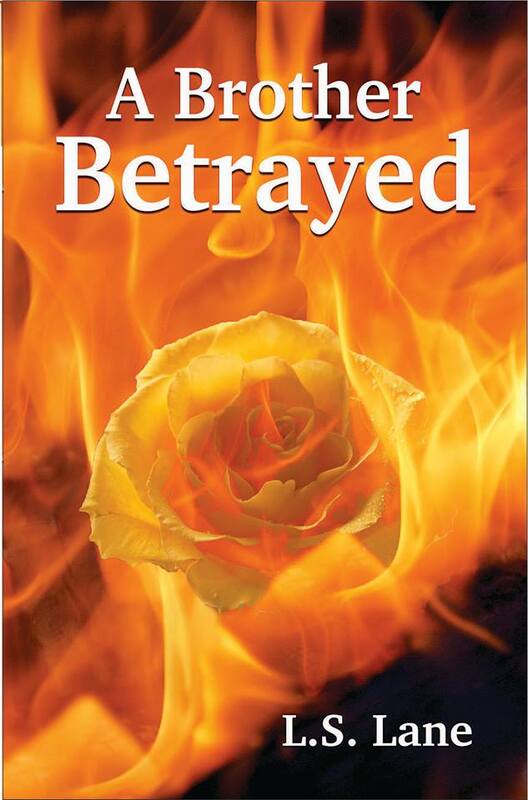 I advise self-publishers to have a pro book designer do the interior (as well as the cover, of course). In the absence of that, a would-be print publisher should invest in and study the Chicago Manual of Style and read up online about layout and design. Otherwise you get a print book that screams "Amateur!" That's true, Larry. Some people put roman numerals on the front matter, although I don't see that done on many paperbacks. I've been using Create Space, formerly Booksurge, div of Amazon since 2008. They have fantastic templates: just pick a trim size and modify their header. You can change the font if you want. You can insert photos, tables, funky fonts, tables, etc. If you can format a Word document, you can use a template. The download is free. When you have finished, they have a virtual previewer with actual page flipping, so you can read your "book" as many times as you need to before you get a print proof. You can also download and print it. When you have proofread 20 times, order a printed proof. At $4-5 dollars each (depending on the trim size and length), which includes shipping, they will rush it to you. Read through it again. Have a few other people read through it for you. You'll be amazed how many typos you don't catch on the screen. When it is perfect, hit upload. You have no need of boxes of books in your closet. Order as many as needed/wanted if you are going to a signing etc. Your copies will cost the same as the proof. They do have restrictions on minimum pricing (in place so you do make some profit). They also have book cover templates. They have a design section where you can alter their basic designs. If you can use photo software of anykind, you can make a cover. They offer a PNG file so you no longer have to know photoshop. I highly recommend having a print version available. I don't do E-books and prefer to have the paper copy in my hands. I agree that a poor cover is a bad representation. It might be better to have someone else design it for you. Bribe a teenager. They are taught photoshop in Kindergarten. Contact a college art department. Go to Deviant Art and browse. Some of the work will take your breath away. Book cover designers are popping up all over the place. Check out their sites. I do find one annoying trend. I expect the Chapter to begin on the right-hand side of the book and for some reason - maybe space savings? - they are printing it on the left. Bugs me every time. There are so many tutorials and blogs out there about what makes a successful cover and interior format. The basic service Create Space offers is limited. When you take control of it, magic can happen. Whether you create the print or e-version first, make sure any corrections you make in one are also made in the other. I'm with you, Diana. The first page of the story should be on the right side. 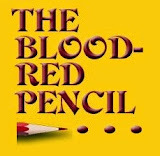 I would never attempt to create my own book cover. I know my limits. I have a great cover artist do that for me. Her name is Patty Henderson. She's done the covers for both Angel Sometimes and Dismembering the Past. 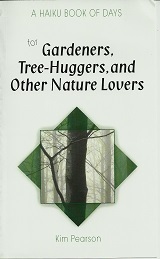 My other three non-fiction book covers were done by the publisher. I do my own layout (except for A New Leaf for Lyle, where I twisted the illustrator's arm into doing the cover, the illustrations, and the layout - since she had InDesign). I don't know if starting the chapter on the left page is a "trend" or just a sign of an amateur who doesn't know how to create or use a Word template or doesn't understand that starting a section on a right-hand page is standard convention. I'm still struggling to remember that I don't have to worry about print signatures. Verso folio chapter headings = sign of an amateur. Definitely. Thanks for this, Helen. A simple, comprehensive guide. I've used Smashwords for ebooks and found it straightforward, and published a paperback through an English outlet, YouWriteOn, again, simple enough. I'm seriously considering making more of my ebooks into paperbacks, so this has been a useful introduction. Thank you. Hi Stuart. If you can do Smashwords, you probably won't have much trouble putting out a print book! Probably not - it's just finding the time! I use Lightning Source for my own books and for all those I publish for others—with their permission, of course. So far (over a period of several years), this has worked well with few glitches on the LSI end. I have known others, however, who had some problems, but all of them were eventually resolved and the writers were happy with their books. While I use Word to create my stories, I write in the 8.5 x 11 format. Then I import the completed story (after self-editing and input from beta readers) into Adobe InDesign for finished page size and design. Why take this extra step? InDesign offers formatting options not available in Word to create a professional-looking book. It requires a learning curve, but the end result is well worth the effort. Also, as Larry notes, the CMOS is a great resource for learning proper layout. Another option is studying numerous books from the big houses. How are the front and back matter laid out? What about the main content? Do the pages have eye appeal? Is the flow smooth and consistent? What different kinds of headers and footers are used by traditional publishing? Can you emulate one or more of them (or a variation thereof) to make your book design spectacular? Self-pubbing isn't for everyone. But for those who choose this path, it brings home an incredible reward when all the hard work and learning curves culminate in that beautiful proof that arrives at your door. Love this post, Helen! Thank you Linda. And especially thank you for all the extra information you added. I'm a little confused about the difference between Lightening Source and Create Space. Aren't they both Print on Demand printing services? Lightning Source and Create Space are quite similar. Just make sure you're following each one's instructions. I had no idea about the ISBN number. As I come to the end of the pack of ISBNs that I previously purchased, I was going to let CreateSpace provide the next one because they distribute to more places if you use one of theirs. Thanks for the great advice! Do a double check with Create Space. It's my understanding that if they provide the ISBN (which means they paid for it), then they own it. Their ISBN number belongs to the Create Space version of the book. It cannot be used for the e-book or another copy of the book delivered to other print services. You retain full ownership of the work and ISBN. This rule about ISBN is true of every book. The e-book ISBN is not the same as the print version. It is debatable whether the e-version needs an ISBN or not. I'd have to research that more thoroughly. My e-versions do not have an ISBN. I also know that the same ISBN is supposed to be different for each place you submit: B&N, Smashwords, I-tunes store, etc. In the copyright area, you should add "Kindle version" and the individual ISBN number if you have one. If not, then just stating this is the "Kindle version" is sufficient. Thank you for clarifying that, Diana - there's no reason I can see for not using the free ISBN if you're using CreateSpace and don't care that they are listed as the "publisher" of record. It doesn't confer any ownership rights to them - you simply cannot use the same ISBN elsewhere, since that edition is listed with CreateSpace as the publisher. I do 95% of my own formatting, and as a non-techie, I find it's not that hard. I do both e-books and print. The only part of formatting for print that I don't want to mess with is the different chapter headers on odd/even pages and page numbering, because in a "regular" print book, the first page of every chapter has no header and no page number. I hire that last bit out to a great guy who can usually turn it around in under an hour and he's very reasonably priced. I do hire an editor and a cover artists for anything I'm going to put out there. I follow the "Do what you enjoy, do what you're good at, and hire out the rest" rule. I also use the free ISBNs wherever they're offered. For print, my sales are such a minuscule fraction of my e-books, that it's not worth the trouble or money. It's not hard; if you use Word, learn to use a template, and the template can be set up to manage the headers and footers properly for you (assuming you apply the correct styles in the right places). It's no harder than the rest of it. But I like your philosophy of doing what you enjoy and are good at, and hiring people who enjoy and are good at what you're not! That's what keeps the economy healthy, and lets others do what they love. 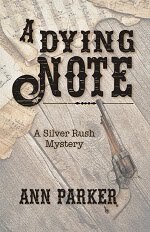 One more thing -- I haven't tried it, but Draft2Digital, similar to Smashwords, but more user-friendly offers a CreateSpace version for your books.